In his new series of etchings, Half-Life (2106), made specifically for The Rembrandt House Museum show in Amsterdam (2017), Brown again took Rembrandt’s fantasy heads as his starting point. 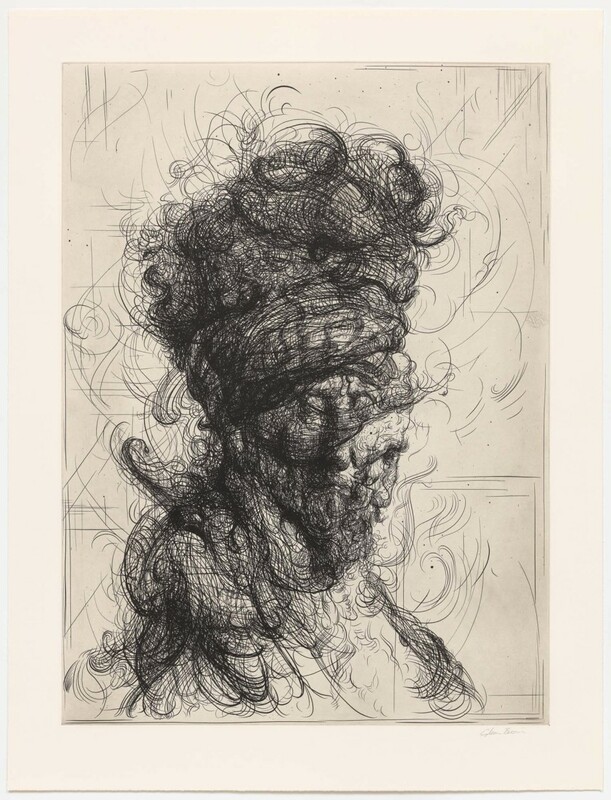 After distorting his chosen works digitally, he redraws each one on an iPad, carefully reworking each of Rembrandt’s etched lines as into his own dynamic swirling arcs, and extending them into the space around the heads. The image is then etched onto copperplate. In a further step, Brown combines these heads by printing one on top of the other, yielding an unsettling tension between the two heads as they form an amorphous presence.